While life in America can be stressful at the best of times, its always a comfort to know that some of the world’s best tropical escapes are located within a relatively short flight of an air hub near you. Case in point: there are countless fishing villages and small towns located south of the border that will reset your brain and restore your soul, as the way life is lived in these places is a natural antidote to the side effects of life at home. Want the benefits of staying in the Puerto Vallarta area without having to deal with the stress of being in a bustling city? 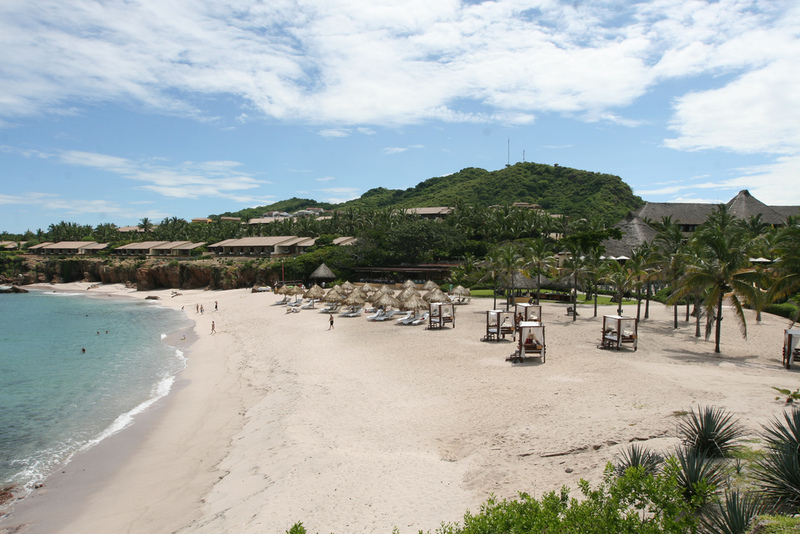 Punta Mita is the ideal solution for those that are in love with the Bay of Banderas, as it is situated ten miles north of Puerto Vallarta and all its amenities, yet you still retain the peace and quiet that comes with living in an authentic Mexican fishing village at the tip of a lightly populated peninsula. There are many private Punta Mita villa rentals on the beach that are available throughout the year, allowing you to plan a relaxing getaway whenever you feel the need to escape from your life for a week or two. Those that are chasing the biggest waves that can be found along the Pacific coast of Mexico will find them in and around the beach town of Puerto Escondido, a tranquil place found on the south coast of Oaxaca state. While surfers will find the best swells on Playa Zicatela, those seeking to swim amidst waves that don’t come with dangerous currents will find Playa Carrizalillo to be the better choice. Even if you aren’t a master carver of the ocean, the carefree folks that this town attracts makes for one of the better nightlife scenes that can be found in Mexico’s smaller beach towns. If you are seeking a relaxing town on Mexico’s Caribbean coast, but think that the resorts of the Mayan Riviera have swallowed up all the good spots, you’ll be pleased to know that the peaceful settlement of Puerto Morelos has kept its soul in spite of the explosive growth of Playa del Carmen to the south, and Cancun to the north. With the Mesoamerican Reef sitting just a mile off shore, diving and snorkeling is the preferred way to pass the time, and if the heat of rainy season is getting to you, taking a dip in the frosty waters of a cenote (many are a short drive inland from town) will refresh your spirit.